Wow. At the risk of sounding redundant (as I often do), I’ve got to say that I never thought this blog would get this far. I’d personally like to thank all of my followers, who number well over 200, and all the people that have visited this blog since I started keeping count about 3½ years ago. We’re hovering somewhere around 375,000 hits, which probably isn’t earth shattering, but I’ll take it. Someone out there likes what we do here, and I say WE because this blog is not just about what I put up here, but your informative comments, anecdotes, corrections, and contributions as well, make this thing even more entertaining. You know who you are. I’d also like to acknowledge a few blogs and websites that I’ve “borrowed” either photos or info from: First, I would all like you to visit “Flower Bomb Songs”, a blog run by a guy named Colin from the UK who digs into this stuff FAR deeper than I do and features PRIMO stuff from the swingin’ 60’s as well as fine goods from the 70’s. HIGHLY RECOMMENDED! You should also peruse “Garage Hangover”, a website that has more info and factoids than I could ever list here in this modest blog, and has been an inspiration to me since I was able to hook up my stereo system to my PC. If any of you are interested in some real IN DEPTH coverage of garage bands from the 60s, please, please,please (in my finest James Brown imitation) visit “60sgaragebands.com” So much info it will make your brain blow up. 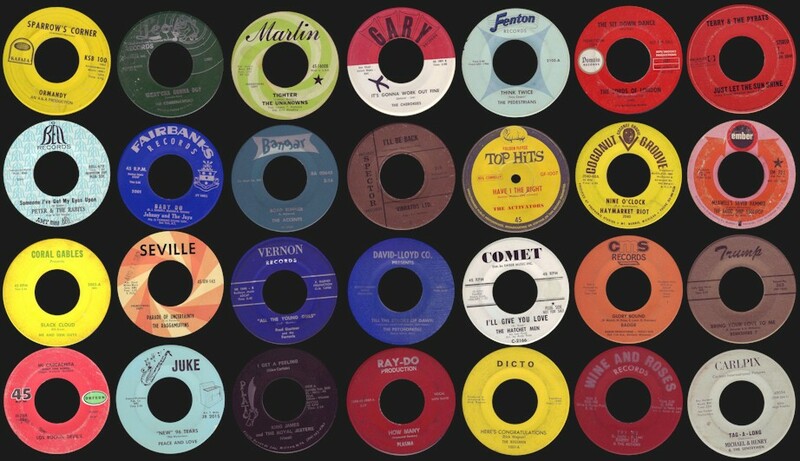 I should also mention some other great blogs listed in my “Blog List” where you can find record collector and/or music loving nut-jobs sharing the best of the best. If it’s cool, I list it. Garage fanatics should check out “60’s Mostly Uncomped”, as well as “The Paradise Of Garage Comps”. Both excellent. For those who are aficionados of Americana, Soul, Blues, as well as garage, certainly visit “Twilight Zone”, a bevy of sounds that I cannot keep up with. It’s that good. On to this post. I guess this is a milestone of sorts mostly because it’s the 100th offering here and the number 100 is mostly held in high esteem. You know, the “top 100” or the “100th anniversary”, or…well….you get the picture. I had so many ideas for what the 100th post would be that I really couldn’t decide on one particular theme. I definitely did not want to do a “best of” because that would be cheating, and doing a “pop” or “novelty” post would have been a halfhearted attempt in my opinion, so I decided to do what I always do. Grab a stack of records and go for it business as usual! I’m sure everyone who is familiar with this blog will find something cool here and there are a few interesting items. I can’t really express my gratitude to all of the fine folks out there who have either written or contributed some kind of something in the comments which I always try to respond to (except for the SPAM). I really have had some interesting ones (comments that is) and I’d say about 95% of them have been published, but I have avoided political rants and a couple of disturbing comments from the son of an artist which I had featured in a couple of earlier posts. I won’t go there. Mostly it’s been an excellent ride which I hope to continue forever, so without further adieu, I present (drum roll please) In Dan’s Garage…#100. I got this one way back in the 80’s at a record show in Buffalo and I picked up on it because my pal Chuck C. had a different volume of it so it figured it had to be good. I think we all know Arthur Murray who ran a slew of dancing schools here in the US where he would teach mostly ballroom style dancing but somewhere along the line people started doing stuff like the tango, samba, cha cha, and holy crap, in the sixties he had to deal with such dancing abominations as the twist! In ‘65 he certainly had to keep his business going so he added cool dances like the “frug”, the “pony”, and the “jerk” to his curriculum and dammit he needed some music to go along with those dances! RCA was happy to oblige with a series of 33 RPM 7 inchers featuring surf legends The Astronauts and they deliver the goods with six up-tempo covers including the legendary “Shortnin’ Bread as well as a cool cover of Trini Lopez’ “If I Had A Hammer”. Get on that dance floor and pony music lovers!!!!!!!!!!! Classic crude rock & roll from one of Dallas, TX finest bands. Larry And The Loafers were a typical southern “Beach Music” group from Birmingham, AL that had a very cool record in ‘61 called “Panama City Blues” which was a regional hit at the time and re-recorded it in ‘62, it was that good. A few years later they cut this gem on Atlanta's Shurfine label and the rest is history. Total coolness. The Castaways deserve to be in the Rock & Roll hall of fame simply for “Liar, Liar”, one of garage rock’s most enduring hits. Their follow-up was kind of a sequel to “Liar,Liar”. “Goodbye Babe” features some strange vocals and the same vibe, but it never really connected the way “Liar, Liar” did. The flip on the other hand was sadly overlooked as it is a piece of genius folk/rock that deserves far more attention than the A side. One of my all time faves. Whoa, this one is cool. The Buckinghams were a pretty decent group when their songs weren’t getting mucked up by overdubbed horns, and this is a sterling example. This, in my opinion is the BEST song they ever recorded and stands up to some of the best garage punkers ever. Eventually they would follow in the same steps as other bands from the Chicago area including The I’des Of March, The Mauds, and of course “Chicago”. 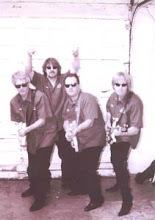 I featured this group in IDG #92 and at the time thought they were Danny Jordan and Tommy Wynn the guys behind The Detergents” “Leader Of The Laundromat”, but an astute follower of this fine blog corrected me. They were an actual band out of Spring Valley & Nanuet N.Y. and one of the songs on the 45 featured in IDG #92 was written by Rupert Holmes, Mr. Pina Colada himself! This, their first offering is a two sided gem and now that I think about it, this doesn’t sound like a a studio group at all. You gotta love these guys, even in their 70s heyday they were one of the best bands out there. This 45 was the US follow-up to “Shakin’ All Over” and although it never reached the same heights as “Shakin’”, it’s still pretty cool. Yeee Ha! I love this 45! Mostly because it’s a bunch of German fellas trying to decipher Sam The Sham’s lyrics which is even difficult for one who speaks English. My favorite line is “I got a clamp in your hand and you’ll move uptown” and runner up is.. “Makes an olive bed and come for me”. Genius. One of Lindey Blaskey’s acts out of Albuquerque, NM. While not as intense as groups like The Chob, or Burgundy Runn, they were possibly his most successful, releasing two 45s on Columbia. I remember scoring this beat up 45 from a Goldmine auction for $10 back in ‘87. I thought it was a fortune then, but I’m glad I dished out the $$$ for this, one of the ALL TIME GREAT TWO SIDERS IN THE HISTORY OF GARAGE, PUNK, WHATEVER!!!!!!! ONE OF THE GREATEST 45s IN THE HISTORY OF HUMANITY!!!!! I’m glad to feature it here once and for all. Another tale of two different bands. The A side of this is right in lockstep with their previous effort “It's A Happening” which was the closer on the legendary comp “Nuggets, but the B side has a distinct “progressive” feel to it. A group of NYC area guys that flirted with fame and fortune but never quite hit the “big time”. They had an LP and a couple two/three 45s and even appeared on The Mike Douglas Show, but unfortunately immortality eluded them. It’s a shame because this is one finely crafted 45. If you’d like some in depth info click HERE. A great Jefferson Airplane style psych/pop 45 that was produced by Brian Ross the genius behind The Music Machine.